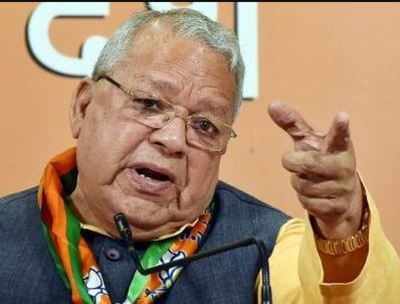 KANPUR: (Uttar Pradesh): Holding pro-Pakistani elements responsible behind the violence in Kasganj, former Union minister Kalraj Mishra has said that forces involved with them should be identified. “I have stressed that forces, trying to aggravate communal tension, should be identified. Those who collude with pro-Pakistani elements and want to create chaos in different ways should be identified,” Mishra told press here, on Friday. One person, identified as Chandan Gupta, was killed and two others were injured after clashes broke out between two groups in Kasganj district of Uttar Pradesh following an unauthorised bike rally, organised to mark the Republic Day. The clash broke out after a group objected to certain slogans raised by bike-borne participants of the rally. As of now, the Uttar Pradesh Police has arrested nine people in connection with the case.